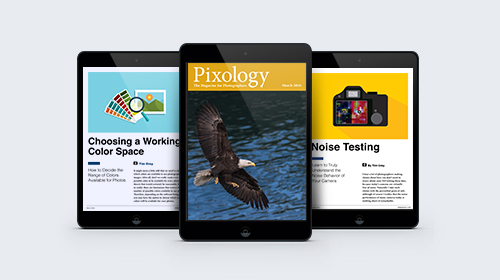 Pixology is a monthly digital magazine featuring in-depth articles on a wide range of topics of interest to photographers. Pixology magazine contains no advertising--just great articles related to photography, image management, software tools, image optimization, and more. Note that this magazine subscription is billed annually. You can download the Pixology Archive with the link in this lesson.